Dhaka, Dec 14 (Just News):Prime Minister Sheikh Hasina returned home on Thursday evening from Paris completing herthree-day official visit to attend the 'One Planet Summit'. An Emirates flight carrying the Prime Minister and her entourage landed at Hazrat Shahjalal International Airport at 5.10 pm. 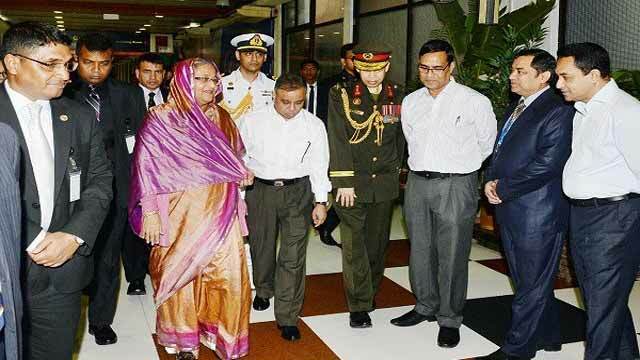 Sheikh Hasina left Dhaka on December 11.